Grace is a true black beauty out of two blacks. She is a sweet girl from a strong line of black and gray. 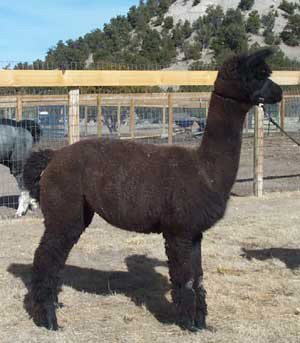 She has good conformation and a soft handle to her fleece. We are looking forward to seeing what she will produce for us. We plan on breeding her to a true black male this spring. Check back later for updated information.